Artificial Intelligence: The Light Side and Dark Side, How to manage AI's risks and benefits? Technological advances in artificial intelligence are expected to spread in all areas and they have an impact on health, economics, security, and governance. Artificial intelligence can change our societies by improving decision-making abilities and improving human life. However, without proper management of advantages and disadvantages, artificial intelligence can jeopardize aspects of defense, economic systems, sales, and social structures. When artificial intelligence is mentioned, many people will turn their attention to the robot. With the trend towards this technology and its applications in many fields, the positive and negative aspects of artificial intelligence have begun. This technology is a double-edged sword. What are the bright and dark aspects of artificial intelligence? Among the positive changes that accompany artificial intelligence is increasing human productivity and achievements quickly by enhancing existing skills, providing better customer service and improving the pace of recruitment and employment selection. New types of functions will emerge and the robot and other machines will perform routine daily tasks in a professional manner, saving time and effort for employees to waste on simple things. Consumers will benefit from artificial intelligence in the form of improved services, recommendations and quality as well as significant and tangible changes in industries such as health care, transportation, and medicines in a safer way. Of course, human life will change to the best of self-driving vehicles and expand this technology to other means of transport such as trains, ships, and aircraft. Companies are expected to cut back on many expenses with artificial intelligence and its ever-increasing applications, as well as new innovations and inventions that will have a strong impact on everyday life. The controversy over artificial intelligence is occasionally raised, like any emerging technology that shows bright effect. There are many industries that have stirred controversy as they arise, such as cars and airplanes. The first, its impact on jobs, as companies, industrial and service sectors are moving toward this technology to reduce costs by reducing employment. Artificial intelligence can perform customer service and human resources. According to the McKinsey study, 375 million jobs or 14% of the global workforce may be automated by 2030. The second question: "How will privacy be protected with the spread of artificial intelligence? This question comes within the scope of data on the Internet and circulation and tracking the digital behaviors of humans moment by moment. Artificial intelligence will enable customers, employees, and consumers to be effectively monitored and familiarized with their behavior, but at the same time, it will violate their privacy and data. Some countries use artificial intelligence to monitor citizens with criminal records and to know the behavior of others with aggressive and criminal tendencies, therefore, new legislation will be needed to regulate it. The third question is about the effects of artificial intelligence on competitiveness in the business sector, where many companies are trying to add tools supported by artificial intelligence to enhance their productivity and staff skills and provide good services. When all companies rush to apply this technology at a large scale, this may negatively affect competitiveness as services will be similar to one another. Among the dark aspects of artificial intelligence is the possibility of increasing monopoly in some industries outside the technological sector by attracting the greatest amount of technical talent and destroying creativity in the human element. It is too early to say that the advantages of artificial intelligence will outweigh its disadvantages. The years to come will determine this, but certainly, this technology will make major changes in human life. Artificial intelligence was seen as a futuristic technology of science fiction novels and space films. Fortunately, and the rapid pace with which modern technology develops, artificial intelligence is becoming a reality and has the potential to influence all areas of our lives. One of the great benefits of artificial intelligence is that it can handle huge amounts of data easily, faster and more effectively than any other. Artificial intelligent software can also make primitive decisions based on that data, and we can teach ourselves to get new conclusions through an automated learning process. This process will allow us to achieve insights we did not think possible, and human-machine partnership can greatly improve traffic, health care, marketing and many more. Sales teams love data, and artificial intelligence is the perfect tool to help them deal with it. In fact, artificial intelligence began to enter directly into CRM and automated marketing systems. The funny thing is that people will not necessarily need to know they are using artificial intelligence to take advantage of them. The sales process depends on customer communication on a personal level, and artificial intelligence can help develop those personal contacts by providing sales teams with the information they need. It can predict performance based on similar situations by utilizing massive data, and the importance of automated learning stems from the fact that it evolves over time. This will make sales teams more effective. Instead of relying on a random approach, artificial intelligence software can identify the goods you are likely to buy and determine which type of message is likely to be most effective. Sales teams can save up to half the time you spend on the phone. Artificial intelligence can also affect real-world shopping by increasing in-store purchases from showing ads that are related to buyers at the moment of purchase. At the same time, online shopping can experience a similar change in conversation interfaces and virtual assistants, which may make the online shopping experience more natural and even lead to more transformations. It is important to remember that artificial intelligence is not about to take over the functions of traditional salespeople. Whether you are marketing to customers directly in the store or working in marketing to other companies in the call center, you'll be able to harness the power of artificial intelligence to simplify your conversations - like our use of sales texts today, but the texts will be adapted to each customer with artificial intelligence and massive data. In fact, the real value of using artificial intelligence as part of a sales program is the fact that human and machine together are much stronger than either alone. Humans need artificial intelligence to help process data in real time, but artificial intelligence needs humans to make informed decisions based on the data that is provided. One day, artificial intelligence may advance enough to make those decisions on our behalf - but for the time being, the closest thing we have is that artificial intelligence is used to place bids and modify advertising programs. One of the biggest problems marketers face is the challenge of understanding unstructured data. Non-structured data means things like feedback on updating social media or people's views on Amazon. At the moment, if we want to unify this information and add it to the customer's record, it is an arduous process that is time-consuming and prone to human error, but artificial intelligence can provide us with a means to analyze and manipulate this data with as little human supervision as possible. The sales procedures we are used to are about to change. This change will come whether we want it or not. For example, instead of relying on the potential customers coming to the nearest representative on the basis of location, the sales program can identify which delegate is most likely to complete the sale. The site is definitely important, but there are many other factors such as areas of salespeople's experience and performance in similar situations. This can be the best person to complete the sale to the sales representative, but someone from the technical team can answer the questions that the potential customer wants to ask. All this may sound like a science fiction novel, but the truth is that much of the artificial intelligence is ready for us to take advantage of today. New technologies that benefit from artificial intelligence include IBM Watson Commerce, Boston Celtics, and Nuance Communications, each associated with a different field of sales based on artificial intelligence and marketing. At the same time, major crawlers like Google, Facebook, Apple, and Amazon are increasingly using artificial intelligence, either by using it to run search results or by creating an audio assistant that relies on artificial intelligence. In fact, future sales decisions can be made well during interaction with a voice assistant. The future of sales based on artificial intelligence seems bright, and although there is a long way to becoming "artificial intelligence" and "sales" partners like "digital" and "marketing", we are moving in that direction now. In the meantime, you can make a major start by adopting that technique quickly. Can a machine fool a man? Artificial intelligence has become a golden rule for research, and this test has been a historic site which has become the principle for decades. This test - through which the computer answers a question by someone who does not see it and thinks that the computer is someone like him - is practically being used everywhere. This test is digital brain power, which enables Siri, a personal assistant and iPhone browser to reply to voice questions as well as intelligent transport systems which are the basis of Supercomputer Watson. Theories assume that the greater the potential of computers in artificial intelligence, the greater its ability to learn with greater wisdom. In 2013, Vicarious developed an artificial intelligence program that can pass a wide-ranging test on the Internet, designed to address humans and computers separately. The test is known as "Captcha", the abbreviation for (completely automated public Turing test to tell computers and humans apart). It requires the test of humans rewriting a short set of numbers or secret letters. D. Scott Phoenix - Cofounder - Vicarious AI said that he wanted to go ahead, invent computers that can learn ways to cure diseases produce renewable energy and do most of humanity's jobs. The goal is to create a "computer that thinks like a human being, except that it does not have to eat or sleep. But some brilliant minds in technology say that a great deal of development in artificial intelligence can also destroy humanity. For example, Elon Musk, the founder and CEO of the electric vehicle company 'Tesla' has described artificial intelligence as "the greatest threat to our survival in human form", and compared those machines with nuclear weapons and "the devil". British astronomer Stephen Hawking said: "Full artificial intelligence - the creation of computers with their own minds - can signal the end of the human race." This year, scientists at the University of Cambridge, where Hawking is director of research, established the Center for the Study of Hazards on Human Presence. Among his goals is to study how to maximize the benefits of artificial intelligence and avoid a disaster like what we see in science fiction. How to manage AI's risks and benefits? Expert recommendations suggest that the advantages of artificial intelligence should be maximized and its shortcomings should be minimized, especially the integration of human participation in complex social and technical systems to ensure the safe development of this intelligence, which is an important part of the Fourth Industrial Revolution and that is characterized by the interplay of new technologies and social-technical systems that enter all aspects of life. Meeting these challenges, there is a need to give extensive attention and a broad focus on expertise and system utilization in order to develop research and innovate the authorities. To achieve this, comprehensive research on artificial intelligence should be organized by groups of researchers from the private sector and universities. 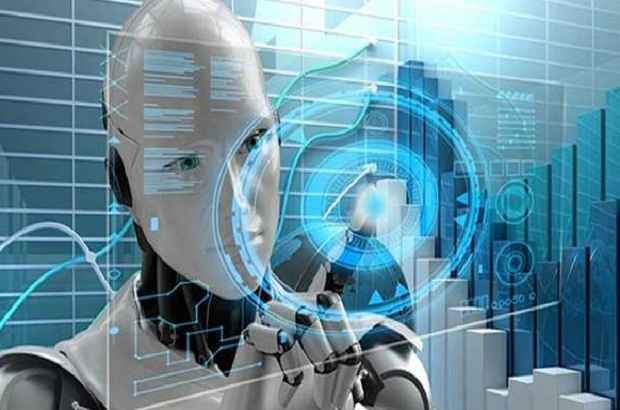 On the basis of other emerging technologies, it is also necessary to protect and develop the artificial intelligence access system and improve the level of human involvement in it. Innovation should also be encouraged and radical changes should be avoided in the rules and regulations which avoid the centralism. The greatest benefits of artificial intelligence must be sought and reduced through the development of guidelines and the establishment and support of some human populations. These efforts will, in turn, help to promote a broader perspective and creative activity. The researchers recommended developing artificial intelligence and research.